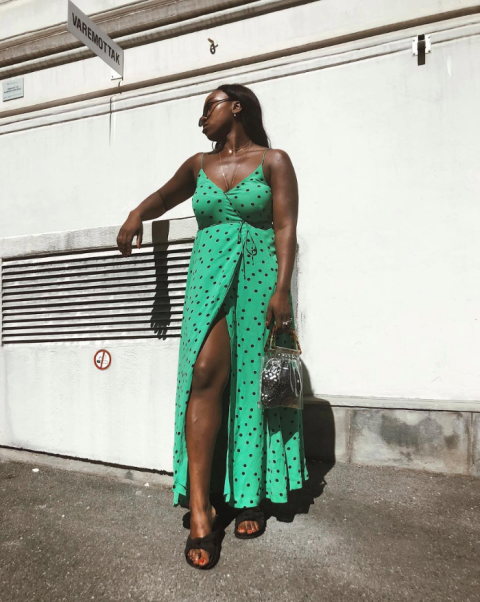 We’ve decided to continue sharing with you interesting wrapped dress outfits, because there are a lot of various printed dresses, and you should know about all of them. 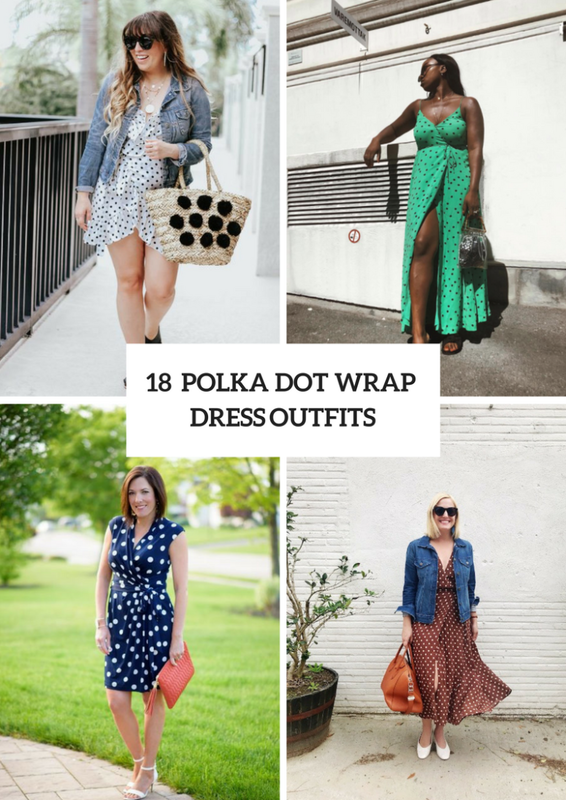 Today I’d like to show you adorable and so comfy ideas with polka dot wrapped dresses. Of course, you need to choose a length (mini, knee-length, midi or maxi ones) and colors for your piece of clothes. But the most interesting part is to pick up accessories and shoes for such dresses. Many fashionistas pay their attention to various necklaces (chain, choker ones, etc. ), stylish sunglasses (oversized, retro styled, colorful framed ones and others) and gorgeous bracelets. Don’t be afraid to look eye-catching during summer days! Wanna mix various styles in one outfit? It is very easy! 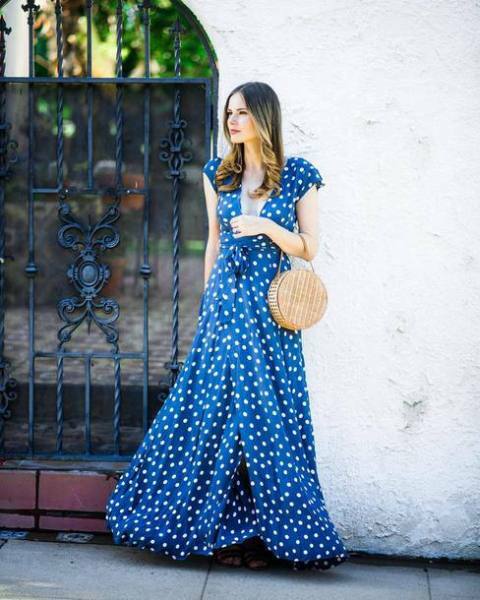 Just take a classic black wrapped straight knee-length dress with white dots and combine it with navy blue and white sneakers. If you want to create something beautiful and feminine, then you can choose a white ruffled wrapped mini dress with black dots and mix it with a black chain strap leather bag, big earrings, bracelets and embellished flat sandals. 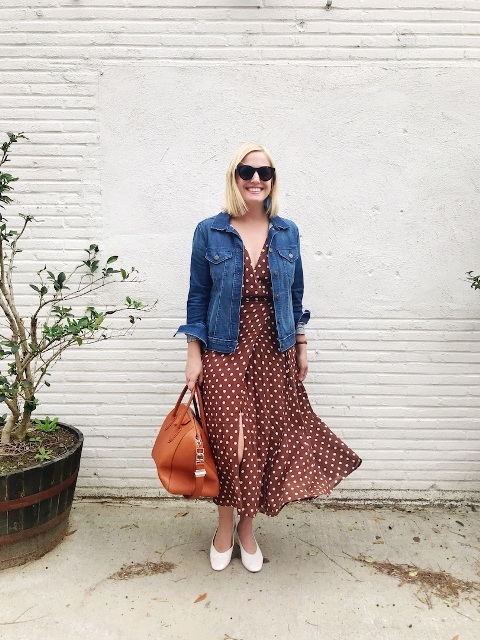 Polka dot dresses look amazing with jackets, for example, denim or leather ones. 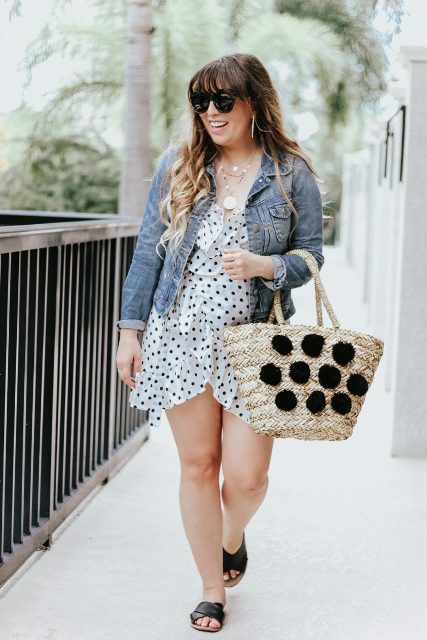 So you can pair a white and black mini dress with a denim jacket, a straw tote with black pom poms and black leather flat sandals or lace up espadrilles. For creating a more official outfit you can repeat a combination with a navy blue and white knee-length dress, a peach colored clutch with tassels and white ankle strap high heels. Looking for casual ideas? Then find an emerald ruffled wrapped mini dress with white tiny dots and mix it with brown leather ankle strap high heels and a brown leather jacket.